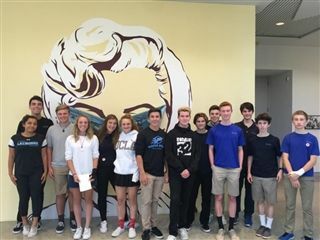 On October 13, Ms. Pietrowski's Advanced Photography students traveled to the Museum of Modern Art in La Jolla for inspiration. They're working on a project inspired by the election using imagery to connect with contemporary issues in politics. The exhibit The Uses of Photography: Art, Politics, and the Reinvention of a Medium gave students context and ideas for their projects.